Bourbon Ridge Lodge is nestled amidst 202 beautiful acres & comfortably accommodates up to 24 guests in pure luxury & relaxation. Your stay will begin with a 3/4 mile journey up and around our tree lined drive to our secluded lodge! A Scottish Country Inn, with cottages and exceptional dining. Discover the story of Glenlaurel, a playground for dreamers, a gateway for adventurers, a hideaway for Romantics. Adult-only Inn with hot tubs, onsite spa, gift shop, gourmet breakfast, 6 & 7 course fine dining, and private trails on 140 acres. 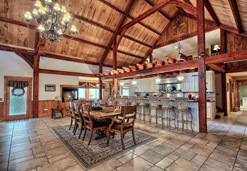 The Grand Bentley Lodge is a spectacular, one-of-a-kind log home. One step inside, and you'll know you made the right choice. Stunning solid walnut flooring. A grand great room with huge windows and a two-story stone fireplace. 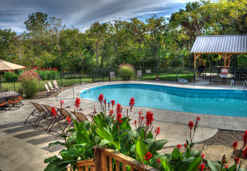 A spectacular recreation area with pool table, home theater, and a large hot tub right outside. 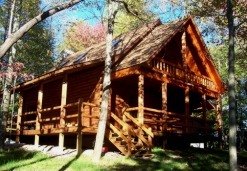 All in a secluded, wooded setting you can call "home" during your stay. Explore the serenity of the Hocking Hills area by staying at our luxurious lodge nestled on 140 private acres of pure bliss. 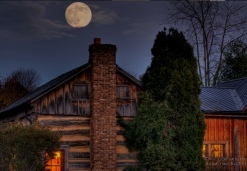 The Lodge at Laurel Run is a 6,900 square foot private cabin that accommodates large families, corporate retreats and weddings. Anchored around a custom built, soaring timber frame, the residence is filled with modern amenities, heated pool and a custom built, 3 tiered theater room. 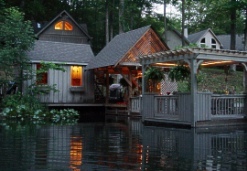 Luxury cabins and lodges. 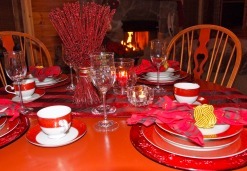 Ideal setting for romantic getaways, weddings, business retreats and family reunions. 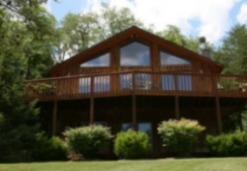 Meeting/Party House, hot tubs, fire rings, hiking, fishing, paddle boating & more. Secluded cottages featuring absolute privacy, gourmet kitchens, artist designed furnishings, deluxe hot tubs and uninterrupted views of 140 forested acres with ponds and groomed trails. 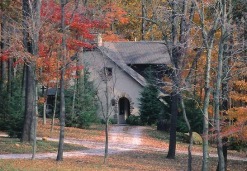 Chosen as 'Top 3 Luxury Cabin Getaways' in Hocking Hills by New York City's Luxury Living Magazine! A Luxury Log Home to fit any occasion. Family gathering, wedding or an intimate Getaway. Private Theatre rooms and fantastic views. See for yourself by taking a Virtual Tour. Why not stay at the best! 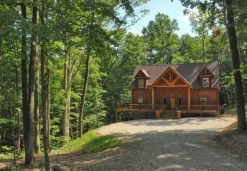 Surrounded by Hocking Hills State Parks; secluded 1840s log cabins can accommodate up to 4 people and are fully equipped. Quaint cottages are romantic for 2 people. Hearty breakfast each morning, great amenities like towel warmers, bottled water, homemade cookies, lip balm and two person showers. From the moment you enter, you'll realize that you've found your dreamscape. Beautiful, tranquil music playing the background, luxurious amenities all around you, a soothing, private hot tub overlooking the forest and a bottle of champagne chilling next to the flick-of-a-switch gas fireplace.